Managing registrations and ticketing for your event can get pretty stressful. You have to get the word out, guide prospects through your registration process, print tickets, collect payments, and whatnot. Event registrations and ticketing solutions are designed to simplify and automate the various tasks involved with organizing and running an event including: social media promotions, easy registrations, ticket scanning, payments, and attendee check-ins. With this in mind, in this post, we’ll step through some of the most important event registration and ticketing features you should have and share some actionable tips on how you can use those features to increase registrations and boost ticket sales. One thing you’ll notice that’s common among some of the best event registration and event ticketing websites is that their registration process is simple and efficient. Having potential attendees fill out seemingly endless forms isn’t great for getting people to register or purchase tickets. Your event registration form shouldn’t just look good but it should also be optimized for conversions. For starters, only ask for the important information. Another technique that some event websites use is asking attendees to login before registering and then pre-populating form fields for attendees. This helps the attendee better understand what information they need to provide. You can also benefit from offering features through your registration forms that facilitate waiting lists and group registrations. Make sure your call to action buttons are placed in visible spaces on your website. Ideally, you’ll want to add them to multiple places such as your navigation bar and above the fold. Bonus tip: You can make your call to action buttons stand out by giving them a contrasting color. The core Event Espresso plugin comes with an event registration form builder that can help you create conversion-optimized forms directly from your WordPress website. It also features multiple attendee registration, multiple ticket and pricing options, and multiple dates and times per event that can help you make your event’s registration process as seamless as possible. A good event ticketing plugin will give you several different payment gateways to add to your WordPress website. In fact, using a combination of offline (invoice or check), PayPal, and credit cards can give attendees the options to pay the way it works best for them. Although some payment gateways (like PayPal) are pretty standard, setting up as many as you can process can help you effectively increase your conversions. Some people may prefer to pay at the event or through their credit card. Event Espresso comes with six different payment gateways right out of the box (including PayPal Express and Authorize.net AIM) and 17 different payment gateways offered as add-ons. The plugin allows you to have multiple payment gateways enabled at a time so that you can give registrants the option to make payments through their credit card, PayPal, or an offline payment method. PayPal will also allow you to accept payments via PayPal and credit cards. They call this PayPal “Guest” checkout. As an event organizer, you have access to your attendees’ personal information and are responsible for keeping it safe. In addition to this, since you’re collecting personal information, your event website must be GDPR compliant if your attendees are residents of any of the European Union nations. For this reason, you should always go for an event ticketing plugin that gives you complete control over your attendees’ data. Event Espresso gives you full control over your attendees’ data and even lets you export the data so you can use it to collect analytics information and improve your marketing strategies. Event ticketing plugins offering seating management functionality let you use the information you collect from attendees to put together digital (visual) seating charts for the event. Fitting the seating chart within your event ticketing process can help improve your event site’s user experience. Some seating management tools let users select their own seats whereas others assign seats. 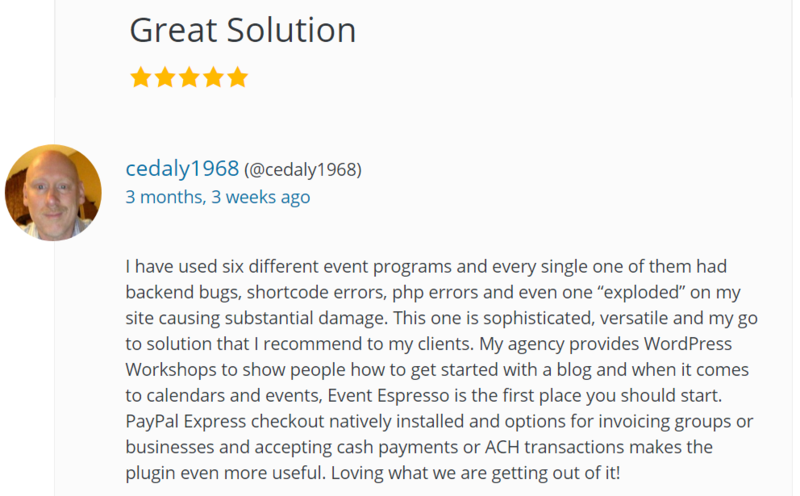 Our Event Espresso plugin offers a neat solution that leverages the built-in ticket selector feature to help you set up a simple (allocated) seating selector directly on your event website. Alternatively, you can also use the Seating Chart third-party plugin that lets you sell seats created using the Seats.io tool directly through Event Espresso. 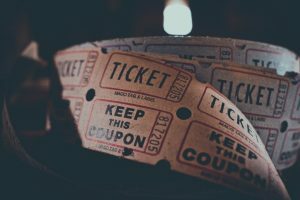 Event ticketing plugins that come with built-in marketing tools take the heavy-lifting out of increasing event registrations and ticket sales. Having the right tools in your arsenal can simplify and streamline your marketing efforts. 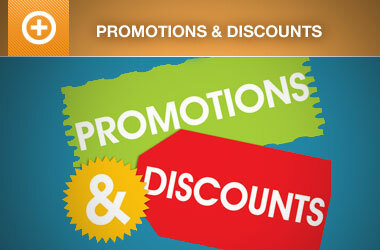 For instance, you could use special discounts to incentivize people to register for your event. Socially integrated event ticketing solutions encourage registrants to recommend the event to their friends via popular social media websites like Facebook and Twitter. You can also build an email list of people who’ve registered for your event and use that list to notify them about upcoming events or send them weekly email newsletters. Event Espresso lets you offer promotional codes to encourage potential attendees to register for your event. It also lets you add social sharing buttons to your event website which registrants can use to spread the word about your event. And once someone registers for your event, Event Espresso’s MailChimp integration automatically adds them to your MailChimp mailing list or group giving you the opportunity to create an email marketing campaign. Automated event attendance systems let you check-in attendees seamlessly without having to go through long lists manually. Mobile ticket scanning systems are quickly becoming popular in the event ticketing space. They are usually apps that allow event organizers to validate tickets and track attendees by scanning barcodes or QR codes directly from their mobile device. Automated event attendance systems let you check-in attendees seamlessly without having to go through long lists manually. 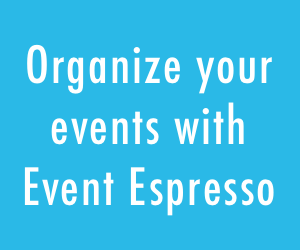 With Event Espresso, you can design and print out customized, scannable tickets for each event you organize. The plugin’s event app (available for iOS and Android) lets you use your smartphone as an attendee management tool. You can scan tickets, check attendees in, and view information directly from your device. You can also create an event check-in list that lets you generate a complete list of attendees and check-in those that have attended your event. Since the revenue you generate from selling tickets is integral to your event’s success, choosing a feature-rich event registration and ticketing plugin is incredibly important. The first step is to consider which event management features you’ll need for your specific event and then evaluate event ticketing plugins to see if they offer the solutions you’re looking for. Design a seamless registration process with call to actions and simple forms that encourage potential attendees to register for your event. Offer as many payment options as you can process on your end by adding multiple payment gateways. Make sure your event ticketing plugin gives you complete control over your data and is GDPR compliant. 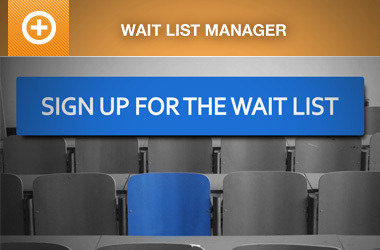 Incorporate seating management functionality into your ticketing process to increase conversions. Leverage built-in marketing tools like social sharing buttons and promotions to spread the word about your event. Automate your event attendance system and check-in attendees by scanning their tickets using your smartphone. With the right event ticketing plugin you’ll be able to deliver a seamless user experience to your attendees both online and offline. A review of Event Espresso from a non-profit youth organization. Our members use Event Espresso to organize their workshops. What are some of the features you need to run a smooth event? Let us know by sending us an email!